Take advantage of the weekend with someone special. Experience the beauty of Stockholm or the excellent food in Gothenburg. We will give you TRIPLE points on your card plus a tasty breakfast buffet. Enjoy triple points on the weekend at AccorHotels hotels in Sweden. You must book your stay ahead of time online to benefit from this offer (accorhotels.com, mercure.com, novotel.com, ibisstyles.com or ibishotel.com) or via our Accor call centers. 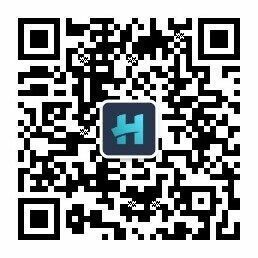 Points are credited to the members account within 10 days following the end of his or her stay. 1. General Le Club AccorHotels terms and conditions apply to the “Triple your points” offer and you must be Le Club AccorHotels member to benefit from it. 2. 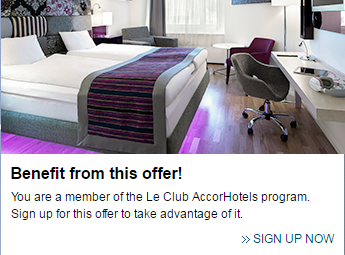 This offer entitles Le Club AccorHotels members, regardless of their status, to benefit from earning x3 bonus Points for a stay in one of the participating hotels in Le Club AccorHotels Loyalty program. This promotion is not applicable for hotels partners of Le Club AccorHotels.The number of bonus points for this offer is calculated according to the points earned by the member based on Classic status. 3. This offer is valid for a member's stay from 24/10/2016 to 31/12/2016 in one of the participating hotels in Sweden, and booked between 24/10/2016 and 31/12/2016. The stay must be a minimum of 1 night(s). 5. Any consecutive stays (check-out and check-in same day) in the same hotel, will be considered as a single stay. This single stay will be eligible once to the “Triple your points” offer. 7. To be eligible for the offer, stays must be booked via AccorHotels distribution channels (AccorHotels websites, AccorHotels mobile applications, AccorHotels Central Reservations, hotels) and traditional travel agencies using a GDS that is automatically connected to AccorHotels Central Reservations. You are therefore not eligible for this offer if your stay is booked with a retailer, a tour operator or a third-party online travel agency (such as expedia.com, booking.com, etc.). 9. Le Club AccorHotels bonus points are credited to the member's account within 10 days following the end of his/her stay. 10. This offer cannot be combined with other current promotional offers or advantages and does not apply to groups.If the stay meets the terms and conditions for several offers, only the bonus points linked to the most generous offer (meaning that allows you to earn the highest number of points) will be credited to your account. 12. This offer is subject to availability. General sales terms and conditions apply for reserved public rates specific to each hotel.You must register for the “Triple your points” offer before proceeding to the booking, to be eligible to the offer. 13. Please specify the reference 47778 in all your communications with AccorHotels call centers or customers care services related to this offer.